What did Lucifer do to get back at Lt. Pierce? That was the big question on Lucifer Season 3 Episode 12 as Lucifer and those closest to him reacted to the truth about the Sinnerman. The troubling thing was that they could not find a motive for the villain to emerge after so long. 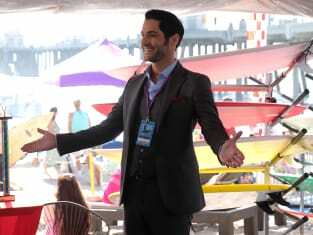 Meanwhile, Lucifer channeled his energy into investigating what happened to a professional surfer when his body was found in a less than savory position. Also, Amenadiel dealt with a personal health issue, but what was it? Use the video above to watch Lucifer online right here via TV Fanatic.